New Delhi: Former Indian cricketer S. Sreesanth on Wednesday told the Supreme Court that he initially confessed to the Special Cell of Delhi Police about his alleged involvement in the 2013 IPL spot-fixing scandal to escape continuous police torture. The former cricketer, who was banned for life for his alleged involvement in spot-fixing, told a bench of Justice Ashok Bhushan and Justice K.M. Joseph that the bookie tried to drag him in the spot-fixing but he did not fall for it. To buttress his point, Sreesanth's lawyer read the Malayalam transcript of the alleged telephonic conversation he had with a bookie. The court sought BCCI's response on this conversation and some documents relied upon by the former cricketer now faced with a life ban from the cricket field. Saying that it was a fact that Sreesanth used a towel during the match, which many other players also do, senior counsel Salman Khurshid, appearing for Sreesanth, told the bench that too much was being read into it. Asking why did he not inform the apex cricket board about being contacted by a bookie, the court said that there was no doubt that his conduct was bad. Sreesanth has moved the top court challenging the Kerala High Court order upholding the life-time ban on him by the Board of Control for Cricket in India. The BCCI had on May 15 last year opposed the plea by Sreesanth seeking a relaxation of the ban on him so that he could play in county cricket in England. 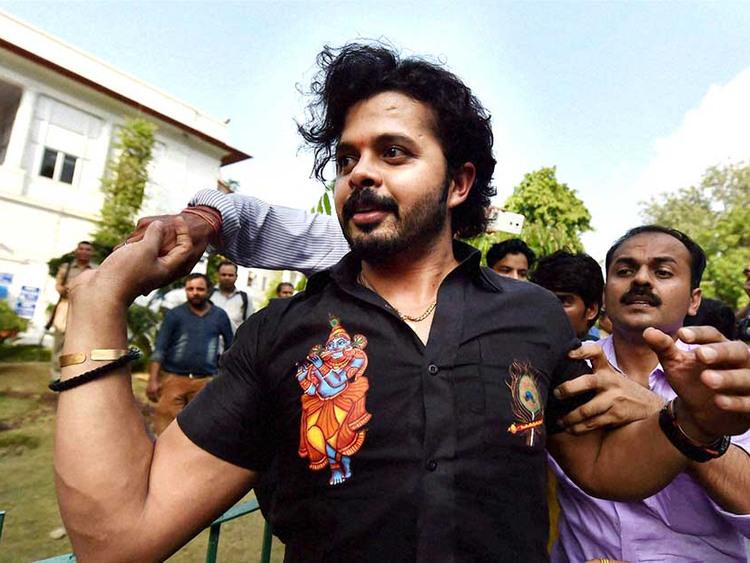 Opposing the plea with a "heavy heart", the court was told that the apex cricketing body had already appealed against the order discharging Sreesanth in the spot-fixing case during IPL 2013. Delhi Police arrested Sreesanth and his two other Rajasthan Royals teammates, Ajit Chandila and Ankeet Chavan, on charge of spot-fixing during IPL 2013.